A Scottish college student apparently discovered a classmate had been imitating her pictures on Instagram, to an eerie degree. According to a now-deleted Facebook post, a woman named Chloe Cowan and her sister spotted the copycat, allegedly a fellow student named Honey Basra. The latter would apparently recreate Cowan’s photos, down to the clothes she was wearing and the caption. Cowan was reportedly frightened by the existence of the account, and who wouldn’t be? This goes beyond simple Instagram stalking and into full-on “Single White Female” territory. According to the Daily Record, the University of Dundee, which both women attend, is investigating the claims. Surprisingly, this behavior isn’t new — nor is it the most alarming instance of it I’ve seen. In 2016, a travel blogger named Lauren Bullen discovered an apparent copycat account, imitating her photos down to each luxurious vacation residence — imitation may be the sincerest form of flattery, but it’s apparently also the most expensive. 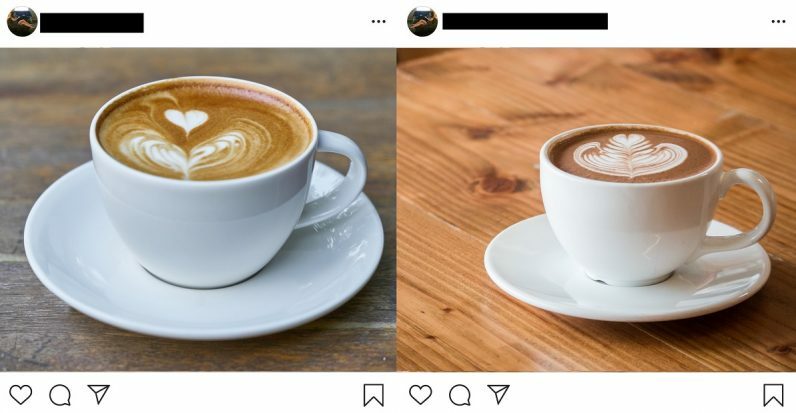 Some have put forth the idea that Bullen’s copycat was a hoax — Business Insider revealed it’d tried to track down the other woman, but wasn’t able to, and also pointed out that the whole debacle got Bullen 200k new followers on Instagram. There’s always the chance the Cowan/Basra story could be, as well. It’s one of those things that sounds less eerie and more incomprehensible the more you think about it. But supposing both stories have credence, I question whether the imitation comes out of love for the particular person and their lifestyle, or an attempt to duplicate their success on the platform. Instagram is a numbers game, more or less, and I’m sure there are many out there who are eager to gain some of the perks of the medium without putting in any of the work to become popular on their own merits. Remember Wanderingggirl? That was the name of Media Kix’s fake Instagram influencer, who managed to accrue offers from businesses for hundreds of dollars’ worth of free swag, despite the fact that the account is just a series of stock photographs and had already been unveiled as a phony months before. I bring it up just to show how little some brands do to verify the credibility of the accounts at which they throw money. Either way, Cowan’s account is now private and Basra’s account is nowhere to be found.